Positioned alongside two wadis, Nizwa, the former capital city of Oman, is a fertile sea of green with an oasis of date plantations stretching 8kms from the town. 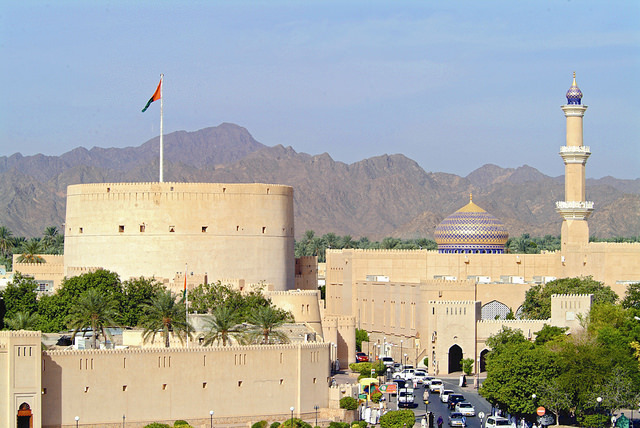 Today, Nizwa is still the largest and most important town in this area of the interior and is noted for its 17th century fort and atmospheric souks full of silversmiths’ art, especially ornately engraved khanjars. A short drive further takes us to the magnificent to Bahla and Jabrin Castle with its wall and ceiling decorations and secret passageways which is well worth a short visit. Following lunch, and en route back to Muscat. You will definitely need your camera. Hotel pick-up at 7:00am (flexible to suit guests) Best to leave early on Fridays to see the animal market in all its hustle-bustle glory!